Ryder is now three months old! Where does the time go? 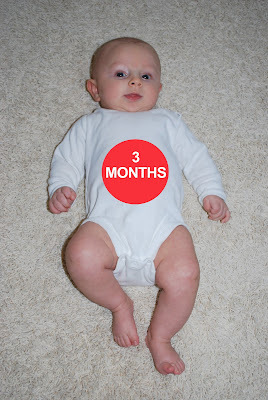 Here are some pictures from his 3 month photo shoot. Enjoy! Lots of cooing and "talking"
My hands are so yummy! I love the 3 month photo shoot!